[PDF] Internet Marketing Made Easy | Free eBooks Download - EBOOKEE! Description: This Unique and Exclusive Training will show you how to get maximum benefits for your business with the help of the internet, without emptying your bank account. 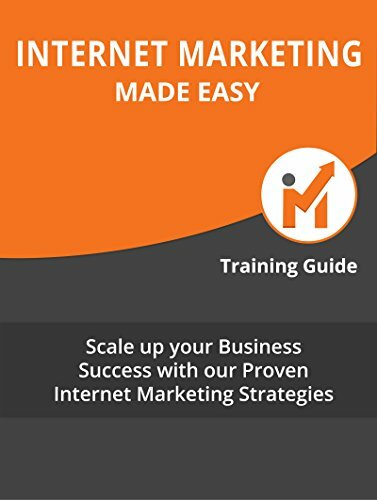 Hereâ€™s a brief insight into the great assistance that we have in store for you with our exclusive training guide- Chapter I: What is Internet Marketing all about? Chapter II: Why you must start doing Internet Marketing TODAY? Chapter III: The Top 5 Elements of a Successful IM Campaign Element #1: Having a good product or service to sell Element #2: Optimizing your Website for Max. Conversions Element #3: Traffic Generation Element #4: Tracking Element #5: Customer Relationship Management Chapter IV: 10 Proven IM Tips to grow your Business online Chapter V: 10 Proven IM Strategies for Internet Marketers Chapter VI: Shocking Internet Marketing Case Studies Well, itâ€™s time to dominate Internet Marketing guys. I know you will love this Training a lot. No comments for "[PDF] Internet Marketing Made Easy".